Drama unfoilded at The Hague as Nairobi Senator Mike Sonko lead demos along the court street and ICC compound. Sonko led tens of Kenyans to give President Uhuru Kenyatta a grand welcome. 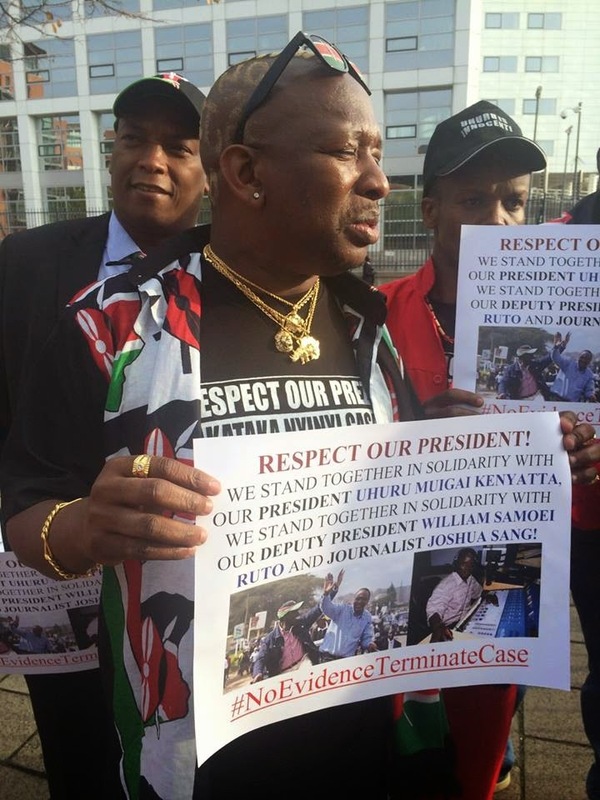 True to his earlier announcement that he would lead a mini-demonstration at The Hague against alleged harassment of President Uhuru Kenyatta, Sonko was there to show solidarity with the man he fondly refers to as “digital President”. During the demos, Sonko led others in full gear shouted and screamed the president's innocence outside The Hague based court before and during the status conference. They sang songs of solidarity and even went to the point of dropping to the ground and shouting. They were dressed in orange overalls and Kenyan coloured scarves and other memorabilia. According to Sonko, the president has been unfairly treated by the ICC and called on the charges against him at the Court to be immediately dropped. He called on the court to drop the charges and said that he and other Kenyans would demonstrate to the world if their request is not taken seriously. The case according to many Kenyans at the Hague is all but dead and they feel it is prudent the trial judges heed the request by the president and his team for the president to be acquitted.